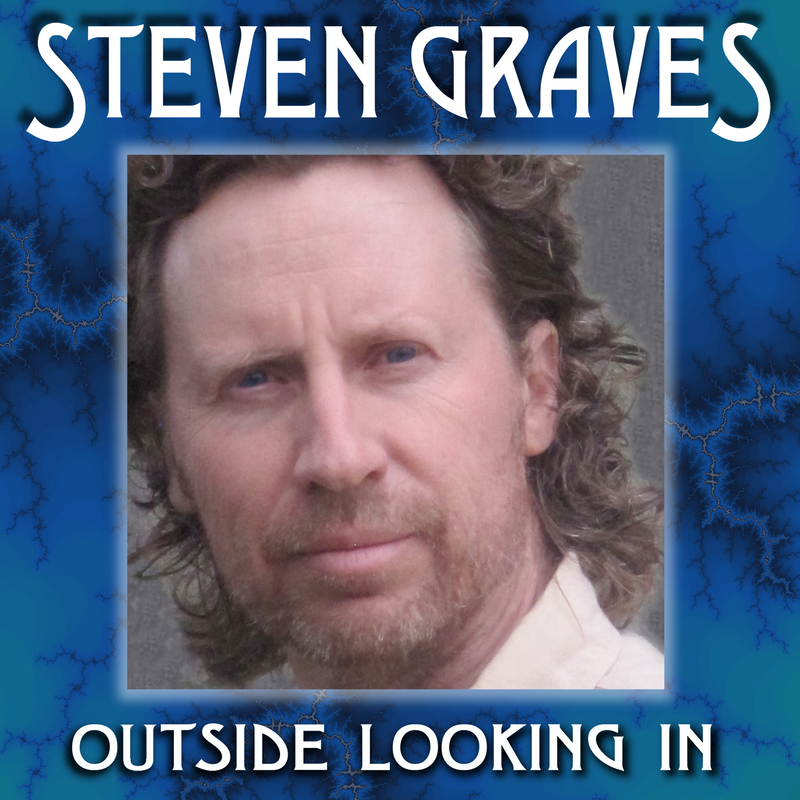 Steven Graves’ new EP titled Outside Looking In, follows his 2010 debut release, “Make A New World”. His debut CD spent 5 weeks on the Americana Music Chart and was played on 70+ stations across the U.S. For this release Steven teams up with producer and multi-instrumentalist Dayan Kai and a rocking band of highly skilled veteran players. This six song EP continues to showcase Steven’s talent for combining many genres into a seamless style all his own. Steven's unique inspiring sound reflects his roots as a Californian, seamlessly blending elements of rock, reggae, country, jazz and blues with his socially conscious lyrical style. The influences of Dylan, Lennon, Marley, Ben Harper and others, who have infused their music with social and political meaning, echo throughout. The masterful way in which Steven combines the wide breadth of musical styles featured on Outside Looking In propels his message into the hearts and minds of all who listen. The latest set from singer songwriter Steven Graves recalls multi-vocalist classics from the likes of Jefferson Airplane, CSNY and The Grateful Dead. Produced by Blue Coast Artist Dayan Kai, whose Dickie Betts-like guitar licks on the title track will surely bring smiles to the face of any Allman Bros fan, this rootsy record has a jam band feel that makes me wanna go outside and dance in the sun. Darren Davison's violin, excuse me--fiddle, on the first cut sets the mood by bringing back memories of Papa John Creach. Tain't nothing but a party, Ya'll.